If you are suffering from pain in your spine, limbs, neck, and lower back and are often feeling continuous muscle stiffness, you need to consult a chiropractor. 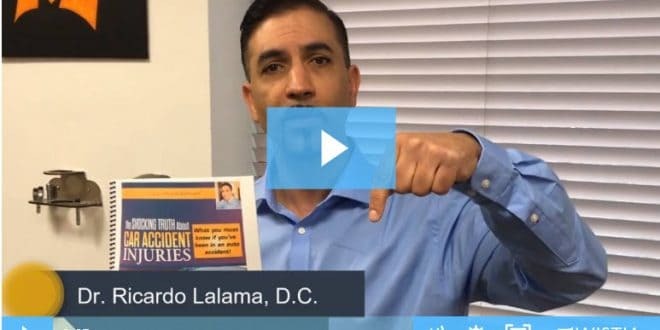 If you’re in the market looking for a reliable chiropractor, Dr. Ricardo Lalama, D.C. and his team of Chiropractors in Paterson New Jersey have a range of specializations when it comes to rehabilitating and recovering from injuries and pain. However, many of their patients are those who have suffered from sports injuries, fall downs or are victims of a car accident in New Jersey which has left them with incessant pain. As a matter of fact, about 12 percent of the whole US population uses a chiropractor’s service every year. Given their important role in your health and life quality, it is important to find the right chiropractor for your case. Here are four tips to use in your search. It is important to find a chiropractor offering services that directly target the kind of injury you are suffering from. Unless the chiropractor in Paterson New Jersey has specialized in a range of treatments, it will not help you to consult a sports injury chiropractor or one dealing with women’s health to help you with your neck injuries that you sustained from a motor vehicle accident. You should also consider the treatment methods and other therapies the chiropractor in Paterson New Jersey is offering as they may be important to your case. For example, acupuncture or the cooling therapy may help your condition better so seek a chiropractor whose practice offers these services. In case you will need help in communicating, you may look for a bilingual chiropractor and also consider the location and distance of the chiropractor’s office to help make your treatment sessions more convenient. Chiropractors provide specialized and personalized service which can be expensive especially if you are scheduled for weekly appointments or you need to be there several times in a week. Confirm that your insurance policy covers such bills and make sure to check which chiropractors are recognized and covered by your health insurance company. This makes it easier should you want to move forward with your chiropractor of choice. You can also submit your insurance information to your chiropractor of choice so that their staff can handle this matter for you. Before you book an appointment with a Paterson New Jersey chiropractor, you have to meet him or her and be sure you understand their approach to the practice and their work values. Even if you found the chiropractor of choice through referrals and recommendations from friends and relatives, meeting them in person allows you make a comprehensive evaluation. Know that if you’ve been injured from a recent car accident in the Paterson, Clifton, and Passaic areas, you may be entitled to a personal injury case in which your insurance company will cover your claim for your injuries and you will not incur any initial out of pocket expenses. Also, check how you relate to the chiropractor and if you are comfortable in his/her presence, consider aspects like honesty, professionalism and relations with other staff members. The chiropractor should explain the whole process to your full comprehension. Work with a chiropractor who does not leave you in the dark regarding anything that pertains to your treatment as a patient in the office. Such chiropractors explain everything from the examination process to the treatment plan and showing you how each step helps your recovery. Do not sign up for any long-term plan until you understand what you will be getting from each step. These tips will help you find the best chiropractor in Paterson New Jersey who will help you have a fast recovery. Now, if you are searching for the best chiropractors in Paterson New Jersey, consider making an appointment with Dr. Ricardo Lalama, D.C. or with one of his team members. Call us today (862) 571-1792 to get a free exam and consultation. Now, if you’ve been involved in a recent car accident, click on the link below to receive your FREE Car Accident Report to Discover The SHOCKING TRUTH About Car Accident Injuries And What You Must Know If You’ve Been In An Auto Accident!